Hello Everyone! Thanks for checking back in with us after we had missed a few blog posts. Things got a little crazy around the office and to be honest the blog took a back seat for a couple of days. We try not to let it happen too often, but every now and then it does. We would rather miss a post than post something that isn’t worth your time to read. 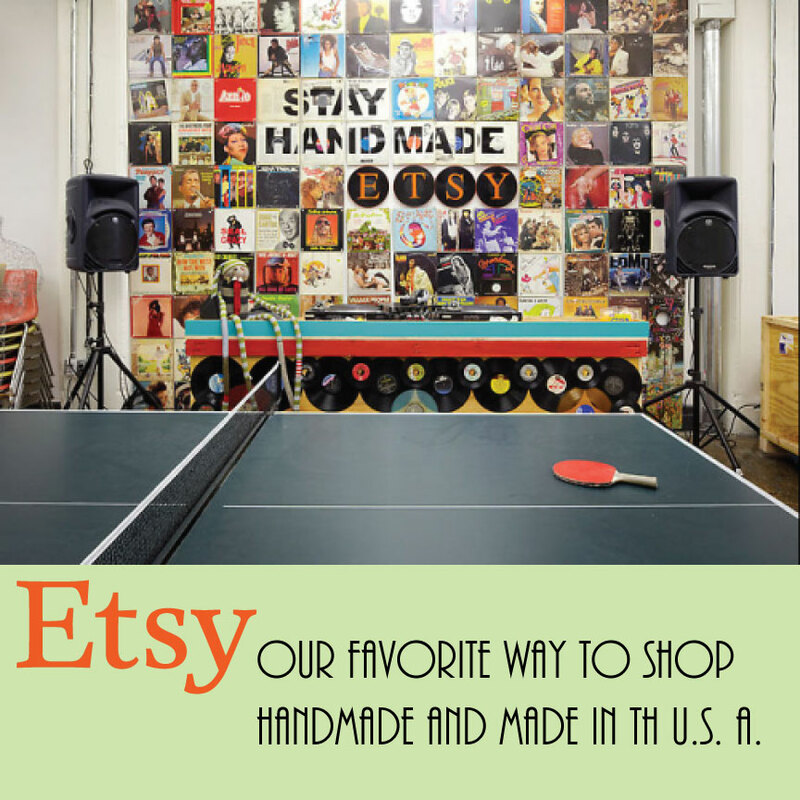 That being said we are thrilled to be back and sharing one of our favorite places to shop for unique handmade items. When I give gifts to friends and family a lot of the time those gifts are handmade. It was something I started doing in an effort to save money one year and the practice has stuck. There is just something so much more special about a handmade gift. I think people appreciate the time and thought that goes into making something just for them. We also know that we don’t all have the time, or the crafty abilities to give handmade gifts. That is why we love Etsy. 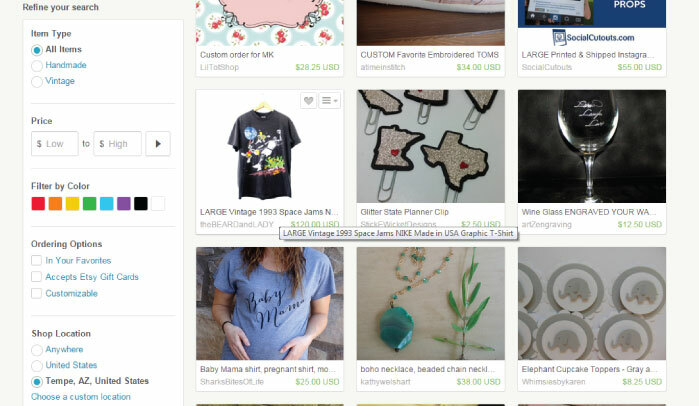 I am sure a lot of you already know about Etsy, as it has become very popular, but we still had to share. One of the features we love is the ability to search for makers by location. 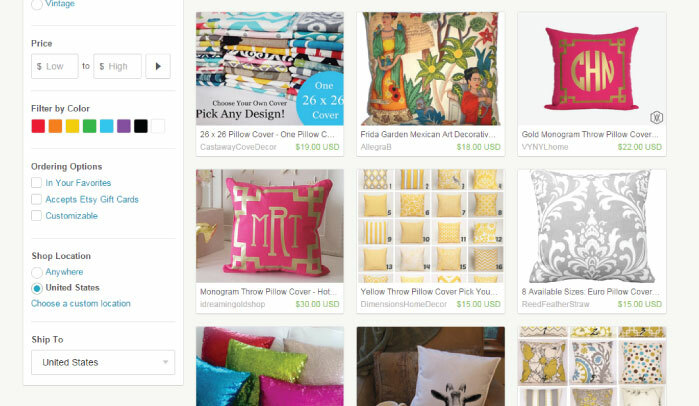 Once you search for an item, we chose to look for some decorative throw pillows, you can choose to look for pillows only made in the United States. The perfect way to shop and stick with this months American Made theme. Refine your search to United States on the left side of your screen towards the bottom. In that same location you can take it a step further and choose to only shop local by adding a custom location. We went ahead and searched for Tempe, AZ. If you just want to see what is being made in your city leave your search field at the top of the page blank and hit the search button. When everything shows up refine that search down to your city. There you can see what local makers are making in your area. In that same search field you can choose a custom location and enter your city and state. We love supporting our local community and this makes for a great way to support other makers and shop local at the same time. We hope the next time you have a gift to give, a housewarming to attend, or maybe you just need some unique home decor to spruce up your space, shop on Etsy. You will be pleased with what you find.